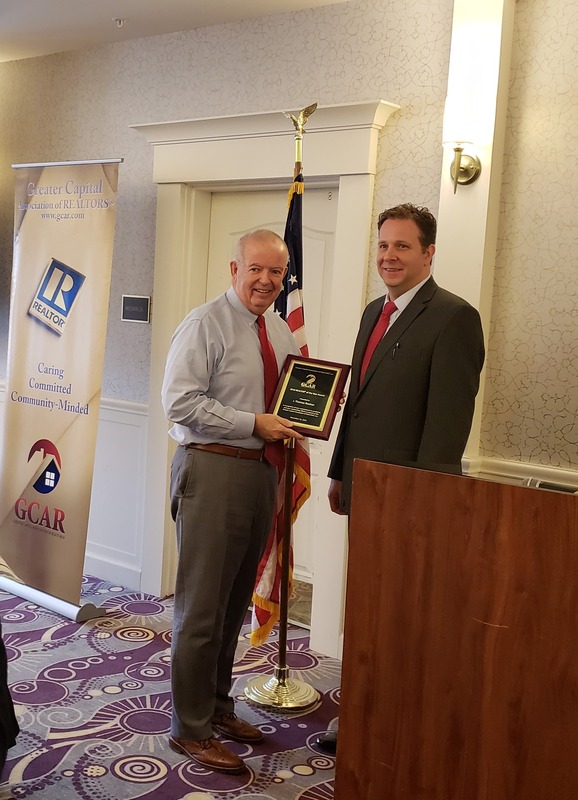 Presented by the Greater Capital Region Association of REALTORS®, Inc.
We are proud to announce that our Principal Broker and President, J. Thomas (“Tom”) Roohan, has been named 2018 REALTOR® of the Year by the Greater Capital Region Association of REALTORS® (GCAR)! 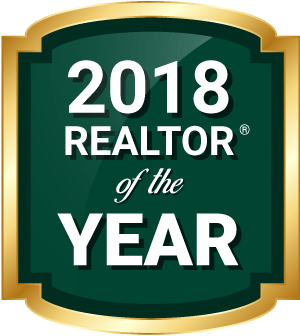 The award is given out to one REALTOR® each year who has demonstrated a commitment to excellence in their work, their community, and put forth outstanding efforts on behalf of the Association. 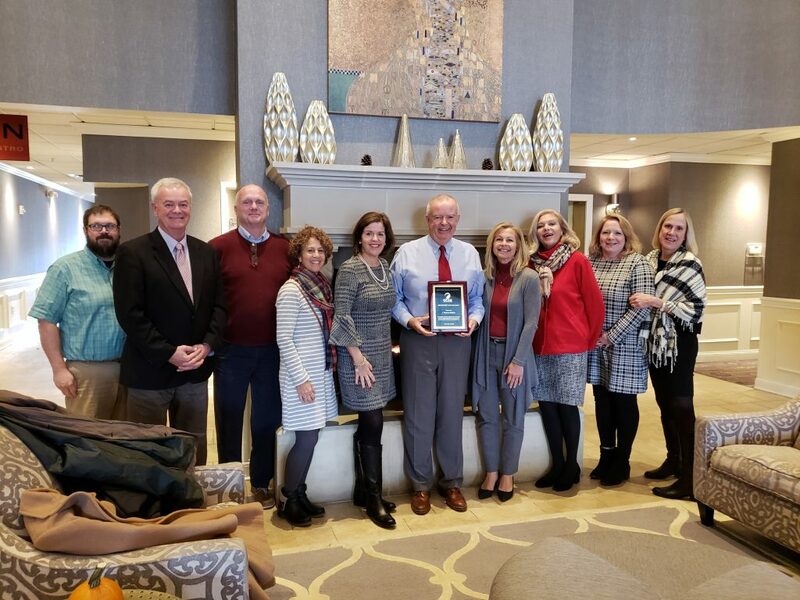 The award was presented yesterday during a board meeting, with several of Roohan’s colleagues and family attending to join in the surprise celebration. Born and raised in Saratoga Springs, Roohan studied Civil Engineering at Norwich University before becoming a second generation fixture in his family’s real estate business. 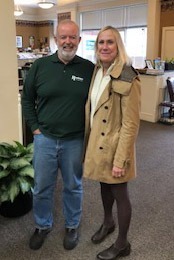 With more than 35 years of experience in the real estate industry, Roohan’s career has included award-winning historic renovation and urban development projects, and past honors as REALTOR® of the Year (1989) and President of the Saratoga County Association of REALTORS® (1989-90). 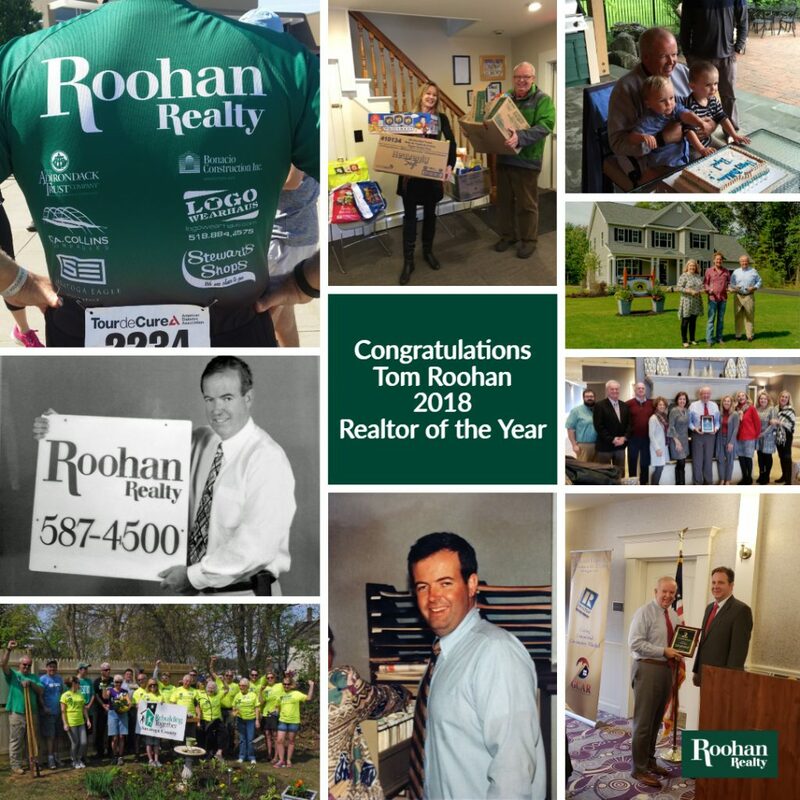 “Tom is both a boss and a leader,” says Kate Deloria, who has worked at Roohan Realty for over 20 years. Another longtime colleague, Meg Minehan (Associate Real Estate Broker) celebrated her 25th anniversary with the company earlier this month. That family-centric approach has not only become a touchstone of the Roohan brand, but also helped us achieve 50 years in business – an incredible milestone that we’re excited to celebrate with the community in 2019. Thank you to all of our clients, colleagues, family and friends for your ongoing support!